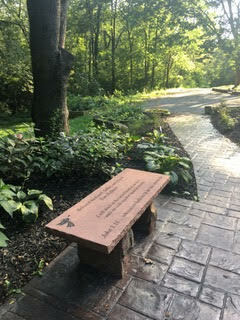 Our Custom Memorial Benches are chosen mostly for their unique ability to help create what are known as Contemplative and Therapeutic Memorial Gardens. 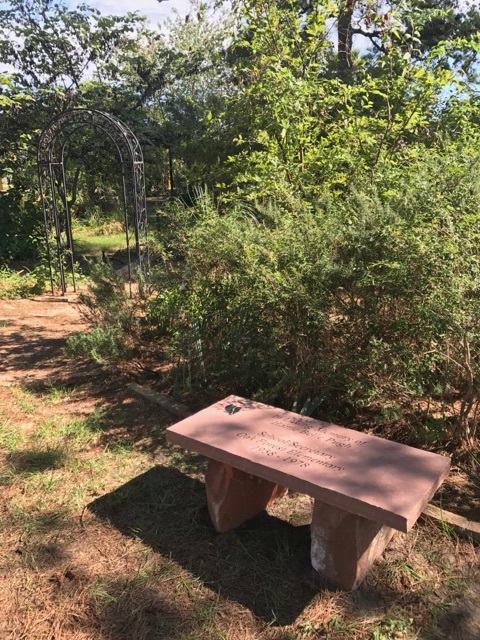 Thousands of customers nationwide have placed these benches in private gardens, open space parks, cemeteries and school and university settings. 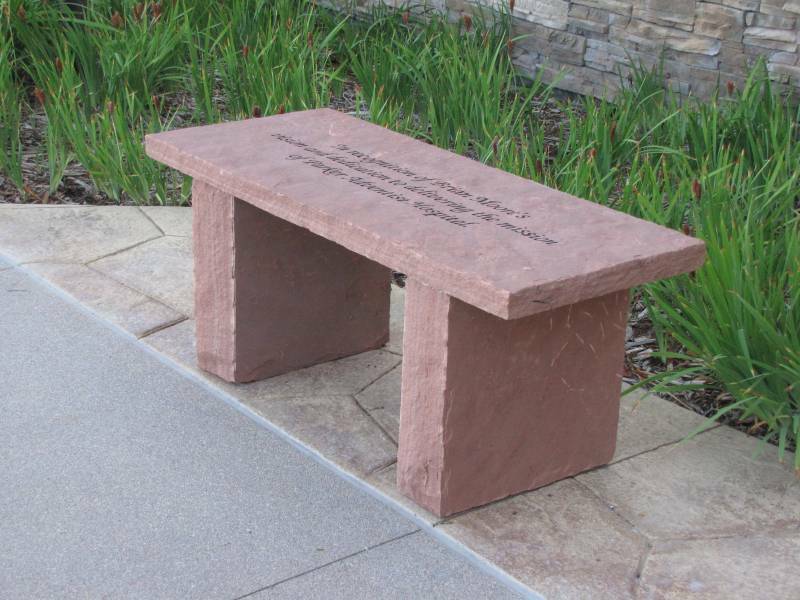 The Most Natural Looking and Beautiful Memorial Bench with your Custom Inscription. 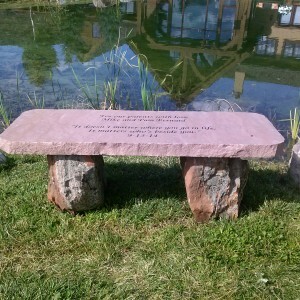 Custom Personalized Inscription Included. Easy assembly. 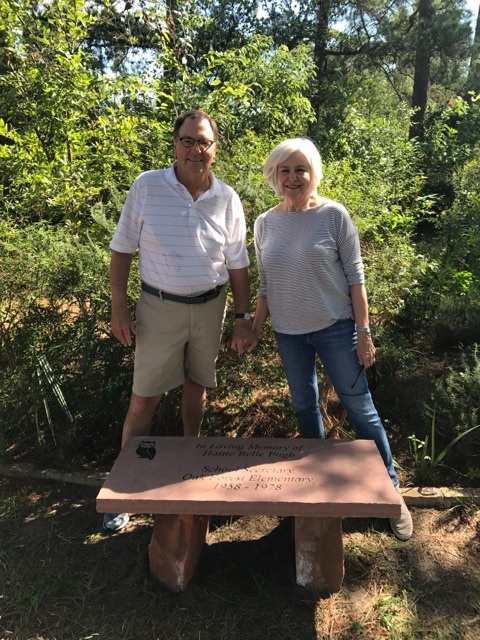 Shipping to Anywhere in the U.S.A.
Scott, the bench looks beautiful at the entrance to the butterfly arboretum at Oak Forest Elementary School. Thanks for your beautiful work. 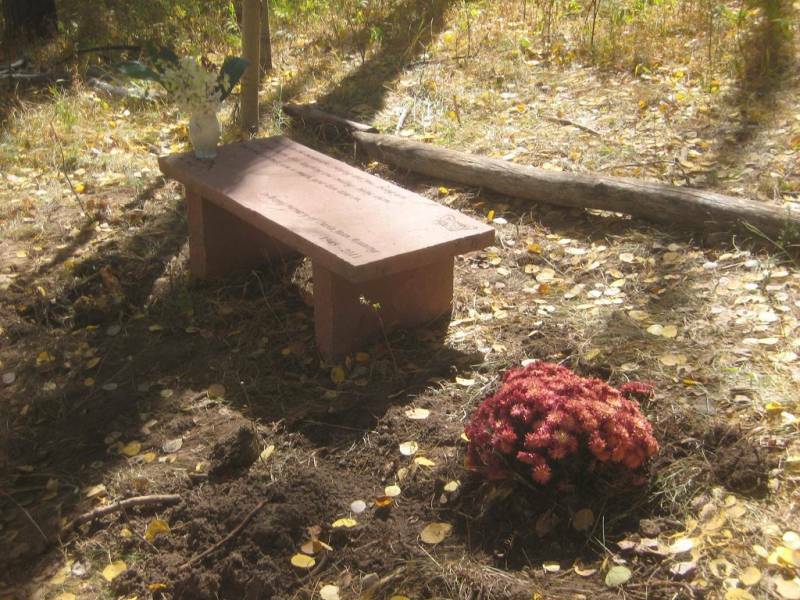 Hattie Belle would be very proud of this memorial. 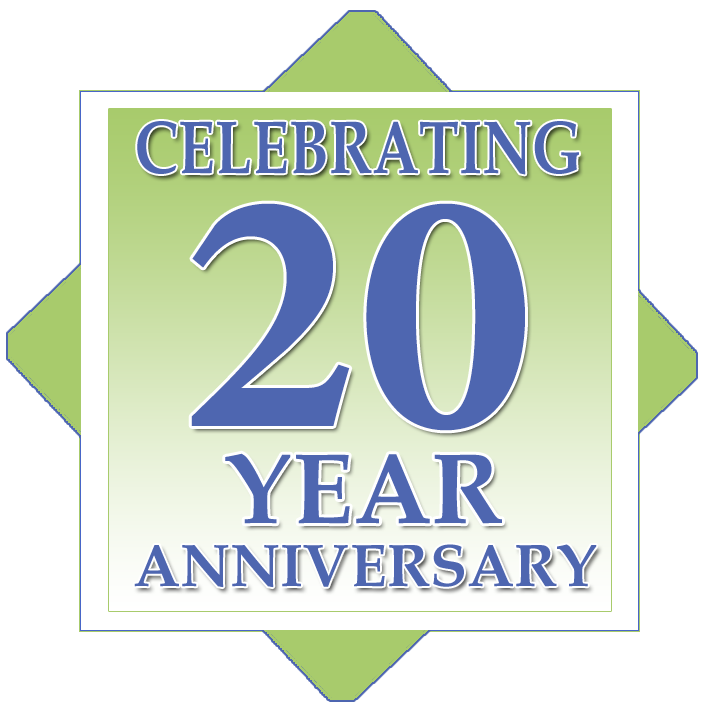 Yes, please use these pics and all the compliments we received! 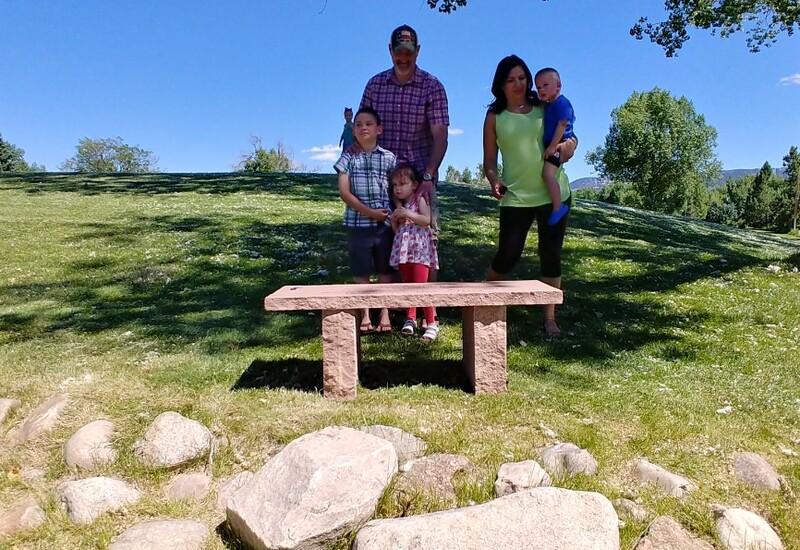 It’s all about the Families we help…………..
We create the most beautiful natural stone memorial benches that you can find anywhere, perfect for your personal garden and so much more inviting and beautiful than the man-made look of concrete and granite memorial benches offered at other companies. 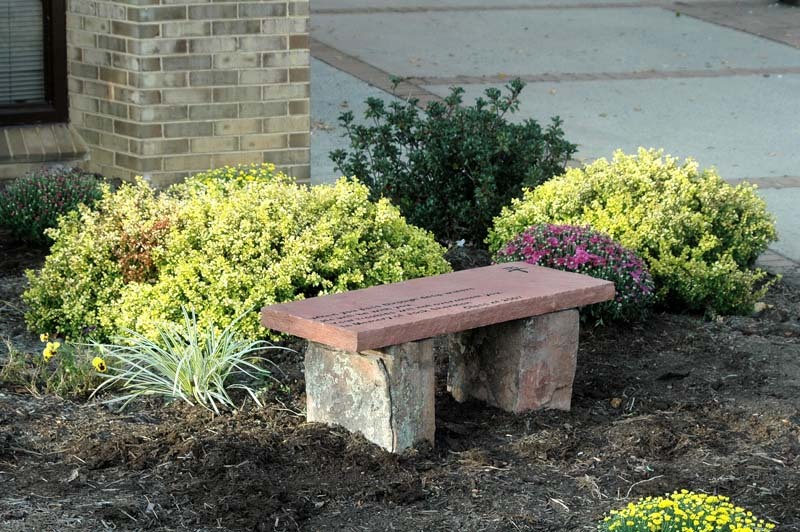 Our memorial benches are personalized with your inscription and shipped directly to you. 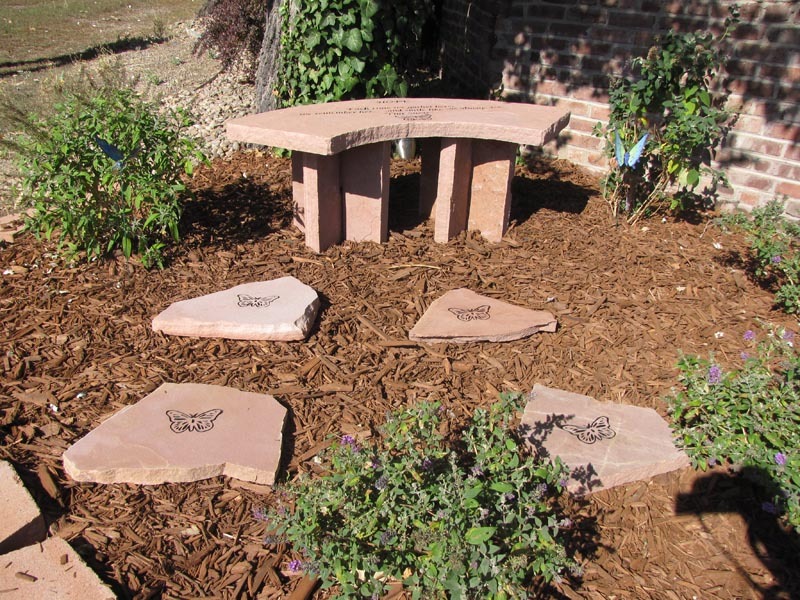 The assembly takes less than an hour to complete and you are left with a beautiful memorial to last a lifetime. 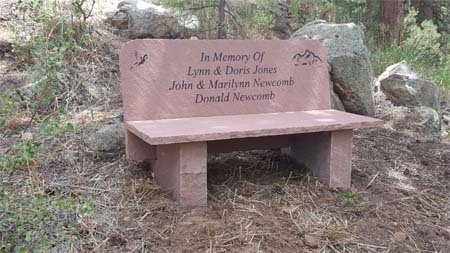 From the Mountain to You – From the Rocky Mountains comes the hardest Red Flagstone in the world and it allows us to create the most natural looking memorial benches that are so much more appealing than the man made look of concrete memorial benches or a granite memorial bench! 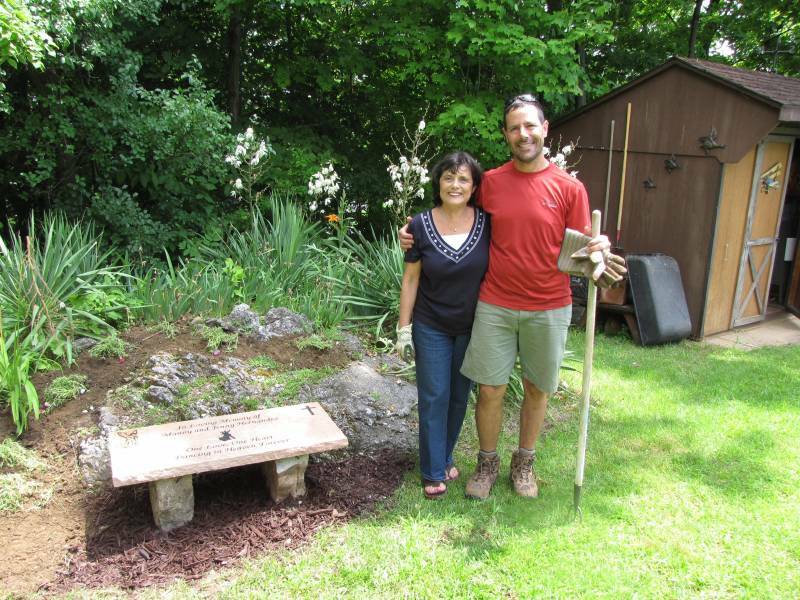 Most benches you find online are imported from overseas where at Bergen Designs they are Made in the good old U.S.A.!